Music, Rhythmics and Dance. 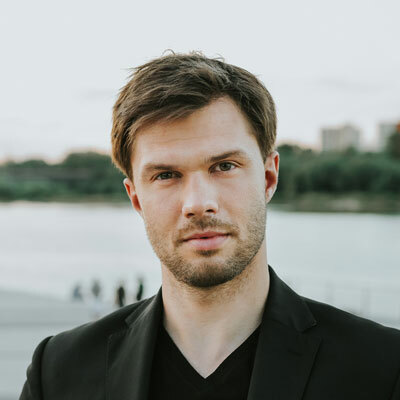 In addition to his work for Cantores Minores, he directs the Female Choir of the Warsaw School of Economics and is an assistant conductor of the School’s Academic Choir. He won First Prize at the 57. Tadeusz Baird Competition for Young Composers (2016) and several other awards at composers’ competitions in Poland and abroad. His works have been performed by leading Polish and foreign ensembles, including the New Music Orchestra, the proMODERN vocal sextet, The Poznań Chamber Choir, The Choir of Trinity College Cambridge, Kammerchor Hannover and Janua Muzika from Vilnius.